Despite being written off by most, the Indians are still in the hunt for the 2nd wild card spot in the AL, and most of that credit is due to their play as of late. A loss to the Twins on August 7th had put the Indians at their lowest point in the season at 10 games under .500. As they slowly climb their way back up and continue to win, has this team actually turned a corner? It appears they may have found something as they have now won six games in a row, and finished a solid 16-12 in August. The last time the Indians saw the .500 mark was on April 10th and are now sitting two games below that at 64-66. They started off the nine-game road trip by taking game one of three against the scorching hot Blue Jays in Toronto. Danny Salazar provided another quality start for the Indians working 7 innings and striking out 10, helping lead them to a 4-2 victory. At four games back of the Rangers and right on the heels of Tampa Bay and the Angels, the Indians have 32 games left in the season to try to jump four teams. While they still have a ways to go to remain in the discussion, on this exact date in 2013, they were 4.5 games out with 27 left to play. As you remember, that was the season the Tribe won their last 10 straight to sneak into the wild card game. 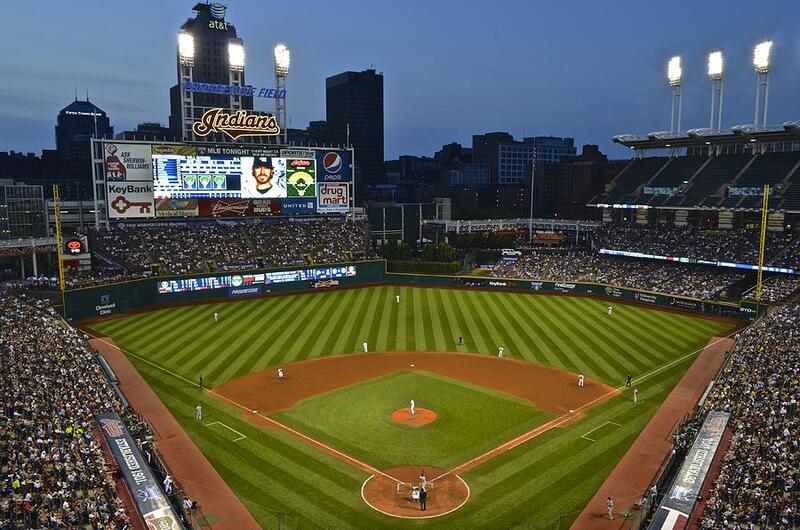 Their remaining schedule leaves them with 18 home games and 14 away (5 against the AL East and 27 against the AL Central) which could provide a huge advantage for the Tribe since they have won 10 of their last 12 at home. By now, you may be wondering how they have hung around in the standings and are still playing meaningful baseball in September. Here are the top five reasons why the Indians have seen recent success, and have a fighting chance to sneak into the playoffs. In Adrienne Goehler's household, there was no escape becoming a Cleveland sports and Buckeyes fan growing up; that's where her passion began. An athlete her whole life, Adrienne is channeling that competitive spirit for the game as a columnist for NEO Sports Insiders. She has a background working with web-based software for use by professionals in the broadcast industry, and experience involving major league sports.